If there were just two questions to ask about a CEO, ask these: Does he run the business well? Is she good in utilizing shareholders’ capital? The first question requires no explanation — this is obviously any CEO’s number one task. The second question is a bit more complex. We need to understand just what shareholders’ capital is and what does a CEO do with it. Hopefully the business you are considering investing in is run by a CEO who is also a shareholder in it — and a significant one at that. I love to invest in businesses where CEOs have a big stake. See my previous post on founder CEOs. 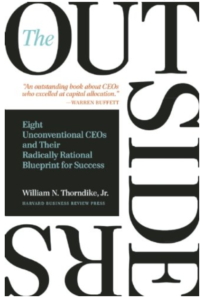 A few years ago (in 2014) I read an excellent book on this topic, The Outsiders, by William Thorndike. In it, he highlighted eight unconventional but highly successful CEOs who, with their outstanding capital allocation skills, returned 150 times in twenty-five years for their shareholders. CEOs need to do two things well to be successful: run their operations efficiently and deploy the cash generated by those operations. So, what is shareholder capital? In simple terms, it’s all the money that the business currently has and what it generates every year by running its operations. This capital is owned by us the shareholders (after paying off all debtholders if the business has any debts). It’s management’s responsibility to take good care of our capital. There are three different sources of capital for a business: cash profits, borrowed money, and selling new shares. Cash profits from business operations is an obvious one. A vast majority of businesses I own are cash positive i.e. they generate positive cash flow each year (but not always reported earnings though). Why positive cash flow but not earnings? This requires another post to fully explain but it has to do with accrual-based accounting rules. Those rules are also mostly used for tax purposes. The rules allow for certain kinds of revenue and expense recognitions that do not affect cash. On the other hand, cash flow is what it says — actual cash coming in and going out. Most of the time, it’s the cash flow of a business that we investors should be looking at. Some companies have built their businesses on optimizing cash flow. An example would be Amazon. For years Amazon showed negative earnings from its business. And yet, it kept on expanding its footprint by investing in new warehouses, distribution centers, and shipping logistics. It had never sold new shares in the market. For most of its history, Amazon has also operated without any significant debt. Even today, its total debt is only 3% of its market cap. Where did it get the money to invest in all that expansion? The answer lies in its consistently positive cash flow from operations. Borrowed Money: In addition to generating cash flow internally, some businesses also raise debt capital for growth. I as an investor don’t have any issues with that. So long as the company has a stable and steady cash flow operations. Debt is often cheaper than equity capital so it can be beneficial for a business to raise debt to increase returns for shareholders (in other words, financial leverage). Some businesses that are in stable slow-growth environment use a lot of debt. This is especially true for real-estate industry. An example would be Simon Property Group (SPG) – a company I wrote about here. It’s a REIT (Real Estate Investment Trust) so it can’t retain more than 10% of its cash flow for expansion. It must pay out 90% of it in form of dividends to shareholders. So how does it get new capital for expansion. It either issues bonds to borrow money — or issue new shares. Equity Raise: This leads us to third and least common form of capital raise — issuing new shares. Many investors don’t like it when companies issue new shares. Why? Because it effectively reduces their own existing share of the company. Think of it this way: If there is a business with ten equal partners — each has contributed $10K of capital. Later, if company decides to bring on a new (eleventh) partner who also contributes $10K, the existing ten partners would have their share of the company cut from 10% to 9%. They now own less of the company. However, this is a simple-minded explanation. It ignores that fact that the even though the pie is now split in eleven slices, the pie itself has grown bigger — by $10K in this case. If that company’s managing partner is smart (and honest), that $10K new capital will now be put into good use (reinvested for expansion, for example). Over time, it will result in higher profits which will be good for all the partners. Also consider the situation where the company is valued much higher today than when original investors paid for their shares. Say, the new partner pays $20K for his share instead of $10K original partners paid. That wouldn’t be so bad for the company as long as it could find good use of the new capital. Young companies in capital intensive industries often raise equity capital. Debt would be too risky and expensive for them. One of my investments Tesla, has raised capital for its expansion through new share issues. As an investor, I have been fine with that. I trust its founder CEO to make good use of new capital. So far it has done well — notwithstanding recent PR mishaps. Capital Allocators. Whether a business generates capital from its own operations or raise it from new shares, all that capital belongs to us the shareholders. It follows that we must also understand how a company intends to use that capital. This is essentially one key responsibility of a CEO. Is he a good steward of our capital? How’s she going to allocate it? Without a trustworthy CEO at the helm, we individual shareholders take too much risk. Would our money ever be returned to us? Or reinvested in a way that results in higher future profits? When it comes to assessing their capital allocations, I put businesses in following four categories: Reinvesters, Acquirers, Dividend Payers, Share Repurchasers. There is nothing wrong with any of these four models. In fact, over a life span of a public company, it is often a Reinvester and Acquirer early before gradually turning into Dividend Payer and Repurchaser. This usually happens because good companies grow to a scale where they can’t reinvest all their earnings back into their core businesses. So, as good companies are wont to do, they start returning profits to shareholders in form of dividends and share repurchases. I had previously written about my Starbucks position. From its IPO in 1992 until 2009, Starbucks was reinvesting in its own expansion. But then in 2010, it started paying dividend. Since 2010, it has increased its annual dividend (in $s) 10 times and bought back shares at an even faster pace. Reinvesters: Many young companies I own are Reinvesters. Whatever capital they internally generate (or raise from external sources) is reinvested in expanding their businesses. This is good. I want them to reinvest profits they make — rather than return it to me. I see promise in their burgeoning business models. As I wrote in a previous blog post — Reinvesting is key — investors get the magic of long-term compounding by reinvesting profits into their portfolio. Acquirers: Besides reinvesting in their business lines, some companies also acquire other businesses. This is also fine by me as long as the acquisitions are in related fields and the company’s prior acquisitions were successful. I also pay attention to how an acquisition is paid for: using its own cash, raising new debt, or issuing new shares. 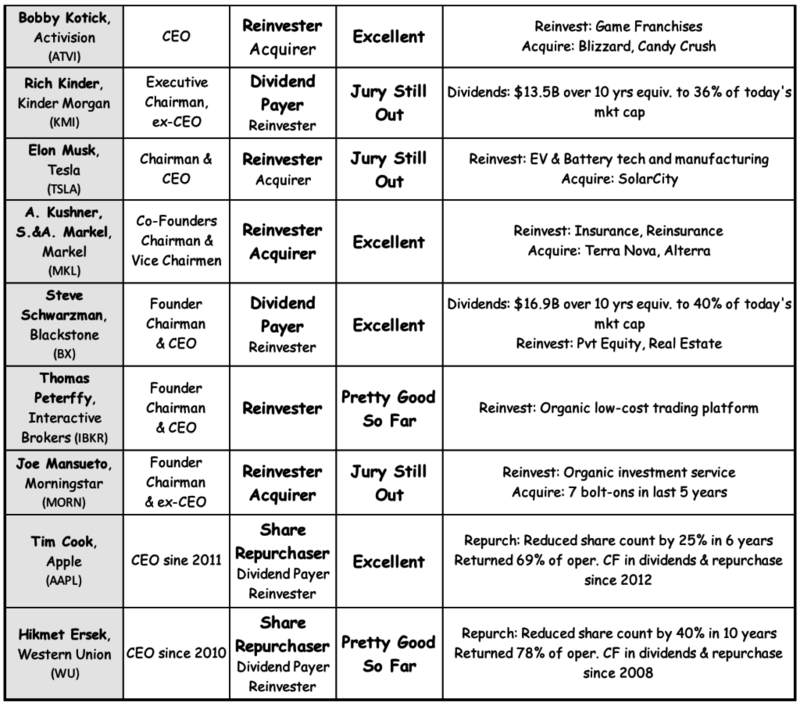 Among the founder-led businesses I own, many of them are reinvesters and acquirers. Companies such as Berkshire, Amazon, and Markel. Dividend Payers: Some investors obsessively focus on dividend payers. I don’t. I explained my reasons in a previous post: Rise above dividends. Nonetheless I still like some dividend payers. Some are older companies with lots of excess capital like Microsoft, Cisco, Starbucks, Apple. Other businesses are structured such that they must pay 90% of their profits as dividends. Two of my holdings — Simon Property and Blackstone — fall in this bucket. Share Repurchasers: Not all investors like share repurchasers. I do. Why? Repurchasing own shares is tax free for us the shareholders — unlike dividends. Repurchases also reduces share count so we get more per-share earnings and dividends. All good things for us. There is one important distinction between ordinary repurchasers and exceptional ones. Ordinary share repurchasers buy back enough shares to offset any increase due to stock-based compensations to employees and managers. This doesn’t help shareholders though, so I don’t count this type of buyback as meaningful return of capital. Then there are other companies whose aggressive repurchases (especially when their stock is down) reduces share count materially. From my portfolio, two companies have been outstanding share repurchasers: Apple and Western Union. Apple has reduced its outstanding share count by 25% since 2012. Western Union has reduced its share count by nearly 40% in last 10 years. A Motley Crew: In my investment portfolio, I’ve early stage reinvestors and acquirers, stable dividend payers, and prolific repurchasers. Each business is run in its own way and has a capital allocation policy suited for its business needs. There is no one model that I am attracted to. I like them all. 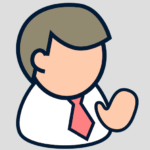 If there is one overarching connection between all my investments, it is this: they all have a person at the helm that I consider a good capital allocator and a significant shareholder. Someone who I trust will take good care of shareholders’ capital. After all, some of that capital belongs to me. 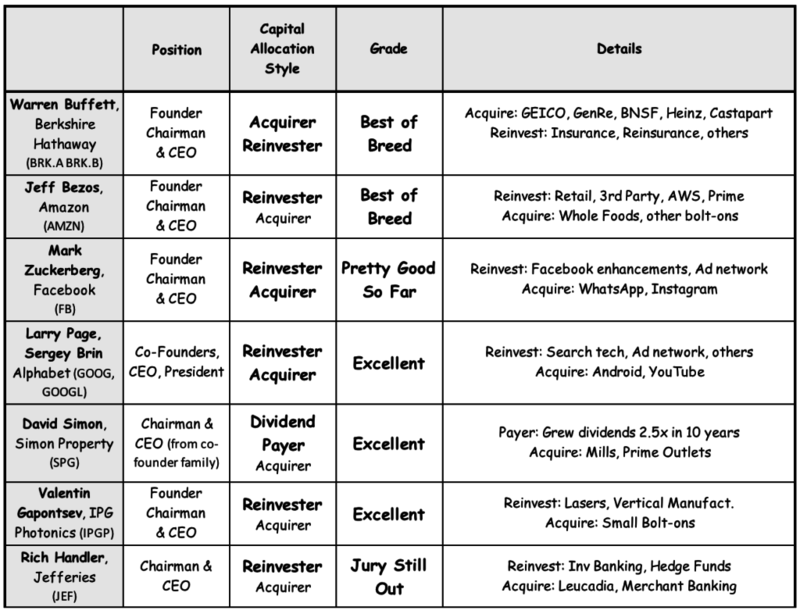 Finally, going back to the Founder CEO table I presented last month, here I show a modified version focused on capital allocation. What is each CEO’s capital allocation style and how I grade them on their allocation record so far? It so happens that none of these founder-led businesses have been significant share repurchasers. They have been either retaining earnings for growth or paying out as dividends. To complement these, I added two other companies at the bottom of the table: Apple and Western Union. Over past 5 and 10 years respectively, both have returned majority of their operating cash flow to shareholders in form of share buybacks and dividends. In Apple’s case, it has the scale where it generates tremendous amount of cash every year that it can’t reinvest. In Western Union’s case, it’s the dominant player in a mature industry and also has the scale to generate excess cash. I am happy staying invested in all of these businesses and let these CEOs grow my money.